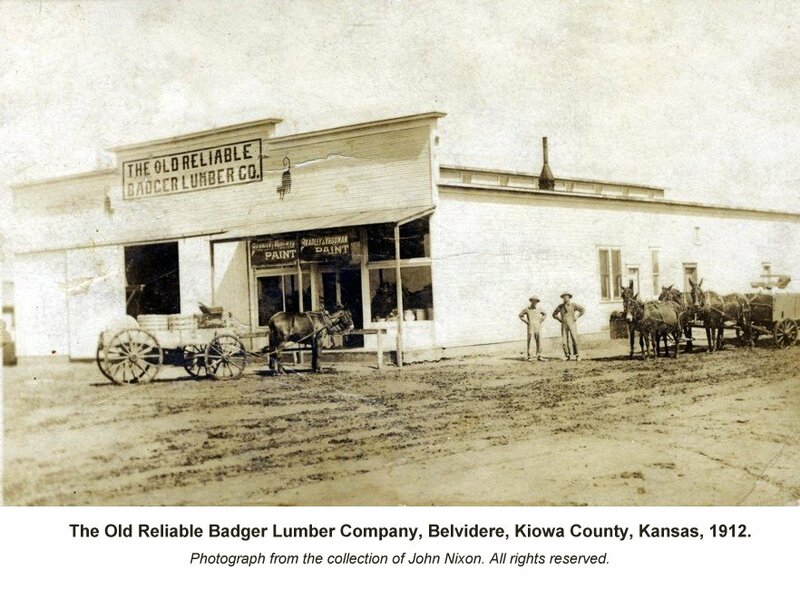 The Old Reliable Badger Lumber Company, Belvidere, Kiowa County, Kansas, 1912. Sign on the window: "Bradley & Vrooman Paint"
Belvidere is located on the old route of Federal Highway US 160 between Medicine Lodge, Barber County, Kansas, and Coldwater, Comanche County, Kansas. "I was just thinking about Belvidere and remembered a story that someone shared with me years ago. Seems as if a bank was robbed somewhere in the vicinity of Belvidere (Pratt comes to mind, but I don’t recall the particular town.) 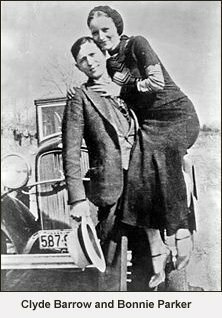 The robbers were none other than Bonnie and Clyde and they took off heading in the general direction of Belvidere. Wanting to do what they could to help catch the robbers, some of the town's residents threw a bunch of tacks out on the road, hoping that they would cause the tires to blow out on the get-away vehicle. All of their efforts were in vain, as their ploy to stop the robbers failed. 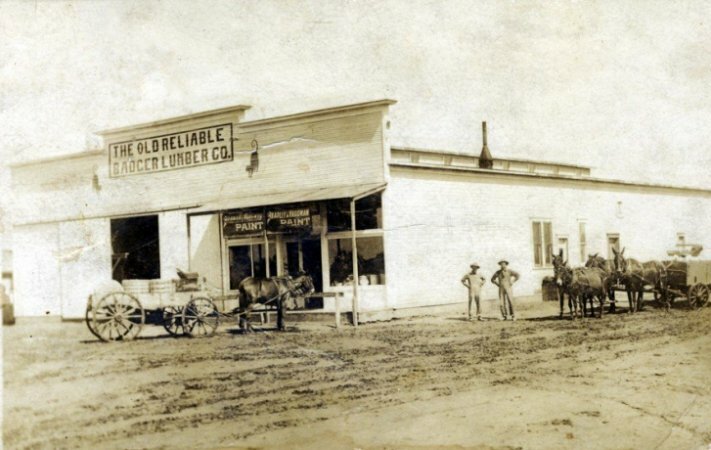 But, many a flat tire was repaired in days to come by local townspeople, as they drove into town and over the tacks." -- Nancy Smith, e-mail to Jerry Ferrin, 29 April 2005. Alva Trummel Kidnapped, The Western Star, 8 Sept 1933. This RootsWeb website is being created by Jerry Ferrin with the able assistance of many Contributors. Your comments, suggestions and contributions of historical information and photographs to this site are welcome. Please sign the Guest Book. This page was created 17 Aug 2005 and was last updated 28 June 2008. The following RootsWeb Visitors Counter began counting on 28 June 2008.